I was looking for a new way to manage my feelings this year and it occurred to me to do something that I enjoyed as a child. So what does that have to do with my life now? I always struggle during the first few weeks of February. It seems that I must have some nonverbal memories of my mother’s death (when I was 2) and it usually causes me to feel depressed and irritable. Even when I am aware and try to avoid the feelings, they still arise. I was looking for a new way to manage my feelings this year and it occurred to me to do something that I enjoyed as a child. Pink ballet shoes, dancing with other women, graceful movements, jumping (well, little jumps), spinning…and music. I did some research and found a local school with very reasonable prices for adult ballet classes. I am in a class with 4-6 other women of varying levels and loving it. What I did not remember was that ballet is HARD WORK. It doesn’t really seem like I am working out because I am focusing so hard on the movements, my posture, and the instruction. But I leave class with wobbly legs and am sore the next day. 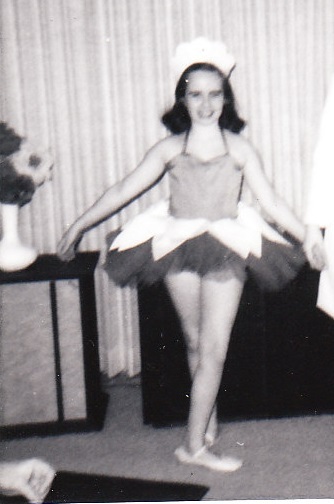 I am grateful that I don’t have to wear pink tights and a black leotard – and of course, no tutus. The only required piece of clothing is a pair of ballet shoes. My classmates wear anything from leotard and tights to leggings and a loose top. I know I won’t ever be en pointe, though I love the shoes. They are so pretty. What I hope to gain from my classes is to have fun, strengthen my muscles in a new way (longer and leaner than before), and to increase my flexibility. As for getting through February, tomorrow is the 54th anniversary of my mother’s (Norelle) death. I have managed to avoid much irritability and have not had more than a few moments of depressed mood. 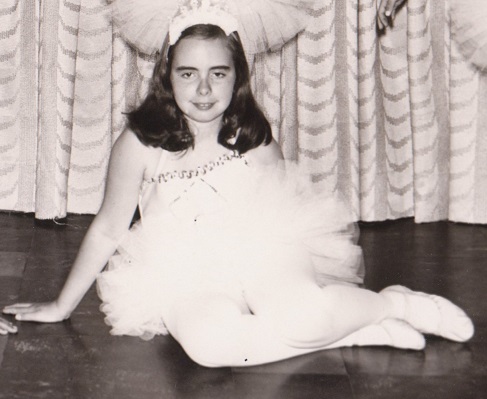 So for now, ballet has been the answer to a problem that has plagued me for many years and has brought me back to the playfulness of my 9 year old self. ← How long has it been?